Marina on Jersey Shore with winter boat storage–Pier 281.
boat and care for it as if it was our own. 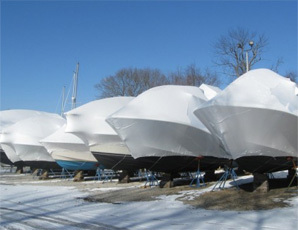 Let Pier 281 Marina store your boat over the winter. In season and out of season our marina makes your boats our top priority. You can count on us to keep your boat safe, secure, and stored all winter long until the New Jersey boating season arrives once again.